*Whoa, here’s an NBA shocker of sorts. 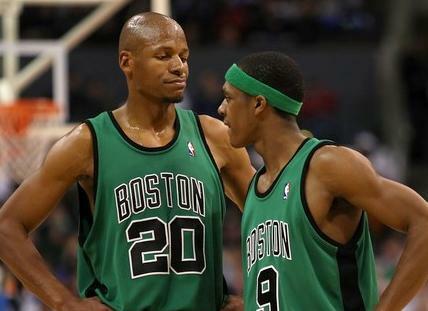 Ray Allen has signed with the Miami Heat! That’s right, the Miami Heat … the same team that knocked his now-former employer the Boston Celtics out of this past season’s playoffs. Allen took less money to sign with the reigning world champions was probably due to his perception of the way Boston was not showing him respect, but most of all, it was his strained relationship Celtics point guard Rajon Rondo, according to NBA basketball writer Adrian Wojnarowski.